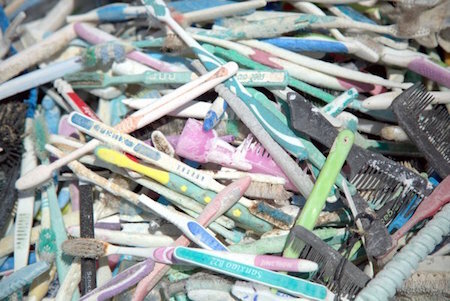 In Australia alone 30 million toothbrushes are thrown out every year. In the US the figure is a billion. When YCAN members were discussing the best alternative to plastic toothbrushes, no one was happy with the types they had tried. So we’re asking for your experiences. Bamboo handles? Recycled plastic? If you’ve found a good sustainable toothbrush that had bristles that didn’t make your gums bleed, let us know! I have had no issue with the bamboo toothbrushes that I use and have been using them for a few years now. They are called ‘Environmental toothbrush’ (funny that) and I purchase them from Organic Whole foods at 277 Smith st Fitzroy. They are also in Brunswick and Flemington. Terracycle is an organisation which will recycle all dental products and beauty products as well. ‘ worth a look at their website.